rBA8b2a241baca0: Attempt to fix FBX scaling issues in a different way. Please avoid multiple issues in a single report. There are a couple of options regarding transforms in the exporter (see rBA8b2a241baca0 [and possibly the related tasks mentioned in that commit message]), have you tried these? In any case we would need an example .blend (and a precise description of how this fails in Nuke), could you share this here? The alembic cache appears to be nearly 1:1 in blender so in this case I'm using the alembic as the correct reference. Sebastian Parborg (zeddb) assigned this task to Bastien Montagne (mont29). 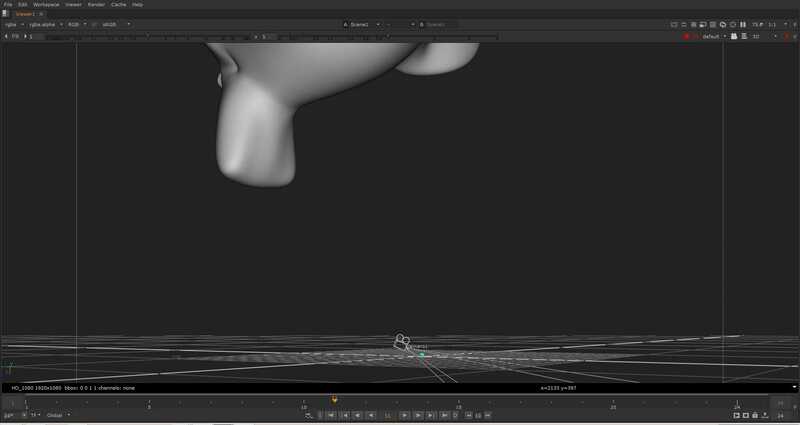 I can confirm that with blender -> fbx -> blender , the animation is lost and the object is miss positioned. Animation info is not 'lost', it's just 'disconnected' (due to how FBX anim system works (and is cryptic), it's not really possible to keep/convey the concept of Action through it). 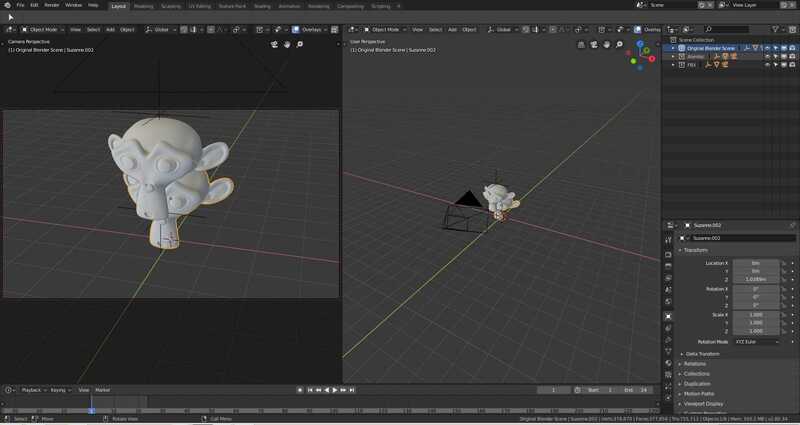 You simply have to re-assign the right action to the right object after re-importing into blender. Disabling All Actions and NLA options in FBX export settings would also help here, I guess (should generate much less animation data). As for relation between empty and monkey, you are using a constraint, this is not supported by the exporter currently, only plain basic parenting is (…to some extend, it's not always working perfectly well :| ). But by all means, if Alembic is working for your pipeline, please, please use Alembic! You'll be using an open, well documented and future-proof format, while FBX is a broken-by-design, totally opaque closed-sourced format… And in general, it's much better/safer to use fully baked formats (like Alembic) for exchanges, complex setups involving animation, armatures, constraints etc. are seldom properly converted between different apps.